Emporia, KS 66801). 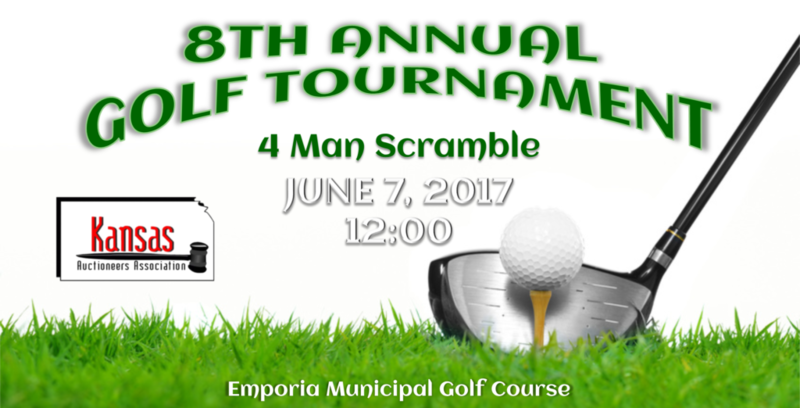 The tournament will be a four man scramble and include lunch, starting at 12:00. You can gather up some friends and register your team or register just yourself and we will put you on a team for an afternoon of fabulous fun. This event is not solely for KAA members, but we would like to have at least one member on each team. We also welcome, golf hole sponsors for the event. Sponsors will have a sign at a hole for each $100 given, plus receive recognition in the KAA Sunflower July issue. If you would like to sponsor or know someone/a company that may like to support our organization for this excellent event, there is a place on the tournament registration form to do so or you can contact Troy Wedel, our Exhibitor/Sponsorship Committee Chairperson, via email.